Why not combine cyber-cafes with coin laundries? Cyber-cafes are one of the newest types of businesses in the U.S.A. today. In case you haven't heard of cyber-cafes, they are small cafes that are equipped with computers. In a cyber-cafe, you can order a cup of coffee, and then sit down in front of a computer and browse internet websites while you drink your coffee. Cyber-cafes have been started all over the country, and they are popular among a gentrified middle class. I've got a new business idea for you, what if you combined a cyber-cafe with a coin laundry? The result would be a cyber-laundry. A cyber-laundry would have all the equipment you'd expect to find in a coin laundry. You'll find coin-operated washing machines, and coin-operated dryers. You'll also find computers. If you went to a cyber-laundry, you would bring a basket of your dirtly clothes with you. You'd put your clothes into a washing machine, and turn it on. 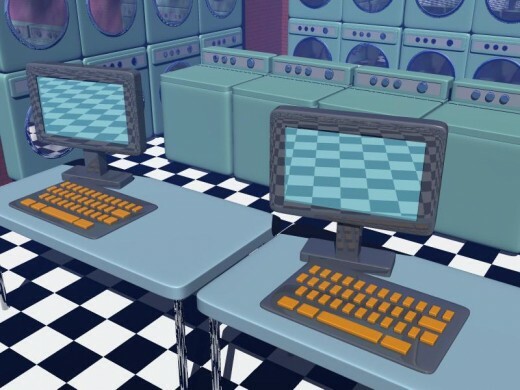 While the clothes are in the washing machine, you would go to a computer and you'd sit down in front of that computer and browse the internet. Most washing machines in coin laundries take about thirty minutes to wash a load of clothes, so you'd have thirty minutes to look at websites. 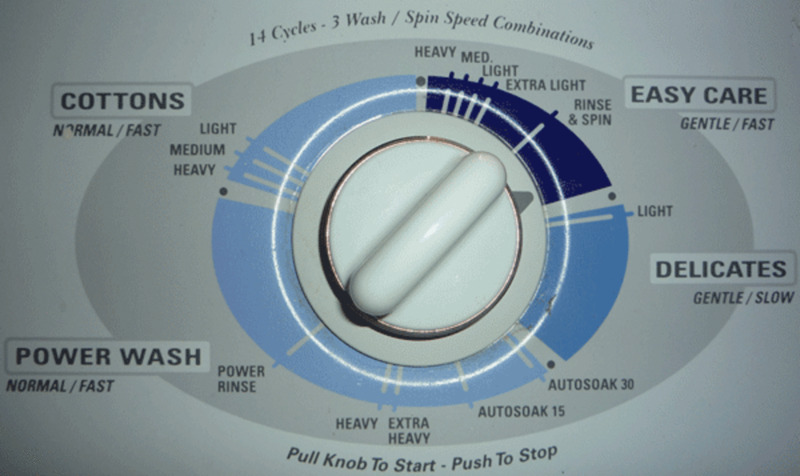 Then, when your clothes are finished washing, you take them out of the washer and put them into the dryer. Most dryers used in coin laundries take about sixty minutes to dry a load of clothes, so you've have sixty more minutes to look at websites on the internet. Total time: Ninety minutes. So, the average person who uses a cyber-laundry would spend about ninety minutes looking at websites while his clothes are being washed and dried. He would probably do this once every week, consistently. The proprietor of the cyber-laundry would be assured of a steady stream of customers. The average customer would come in once each week to wash his laundry, and he could look at websites while he was in the laundry, this represents a steady business for the proprietor if a cyber-laundry. There are millions of people in this country who cannot afford their own washing machines, and millions of people who cannot afford to buy their own computers. They are locked into a social class where washing machines and computers are too expensive for them to buy, and therefore, the cyber-laundry concept is the answer for them. If you are poor, and unemployed, you could go to the cyber-laundry to look for jobs, using job-finding websites on the internet. The cyber-laundry would fill a need in almost every working class-community. Looking for an idea for starting a new business? Start a cyber-laundry! Anthony Ratkov. November 16,2011. Computer graphic images by Anthony Ratkov.